Two smaller containers of sand are poured into one large container and the following is an example of what can be read. Today ______and_______ you are making a commitment for one another. As you each hold your sand, the separate containers of sand represent your lives to this moment, individual and unique. As you now combine your sand together, your lives also join together as one. Bride and groom face each other and hold hands, palms up and the following is an example of what can be read. ________ these are the hands of your best friend, strong and young …………..
After the exchange of vows and rings, the following is an example of what can be read. It is now my privilege to present you your first gift as a married couple. 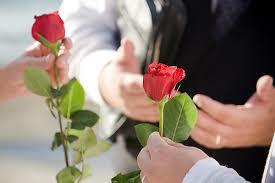 I ask you to exchange your roses. 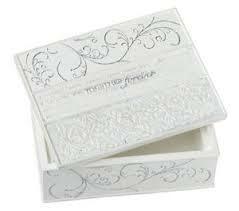 In this exchange you have given to each other your first gift as husband and wife. The gift of love. Generally, three candles are used. The outer two candles are lit in advance. This may occur during the prelude prior to the ceremony. 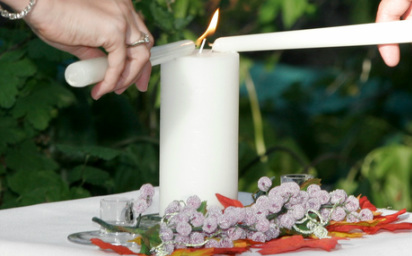 A groomsman or the parents of the bride and/or groom may be asked to light these two candles. 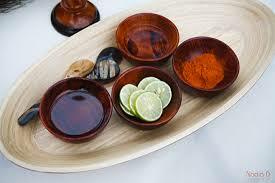 At the appointed time in the ceremony the following as an example may be read. 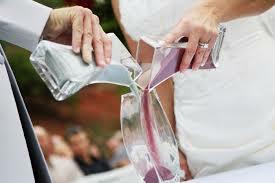 ________ and ________ you have exchanged vows and rings expressing your desire to be united as one in marriage. As you enter your marriage may this light be seen as a light in the darkness. May this be reflected as you now take the flames from the two separate candles and blend them into the center candle. 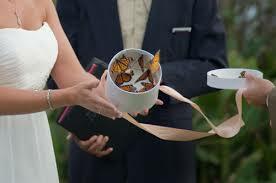 Today we celebrate love in a very special way with the release of butterflies to signify a new beginning for ________ and ________. 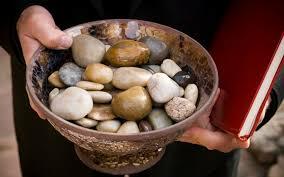 I ask everyone to take the stone you have been given and make a wish or blessing for happiness and good will for ___________ and __________. By this cord you are now bound to your vow. 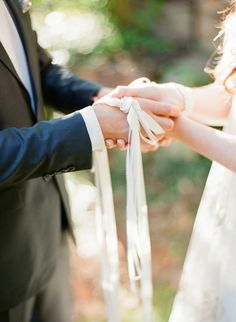 May this knot remain tied for as long as you both shall live. 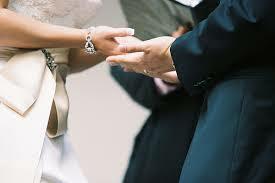 Couples can renew their wedding vows whenever they so choose. They can either use the vows they exchanged on their wedding day or make new ones which an example follows. __________ years ago I made the promise to love you, respect you and to be faithful to you. I promised to love you in sickness and in health, in joy and in sorrow. ___years ago I made a choice and today I make that choice again. I will continue to love you until we are parted by death.